With hundreds - or even thousands of booths all set up at the same trade show, how can you make your business truly stand out? How can you generate leads without losing the attention of your potential customers to your competitors, even though you're all set up in the same space with the same offerings? 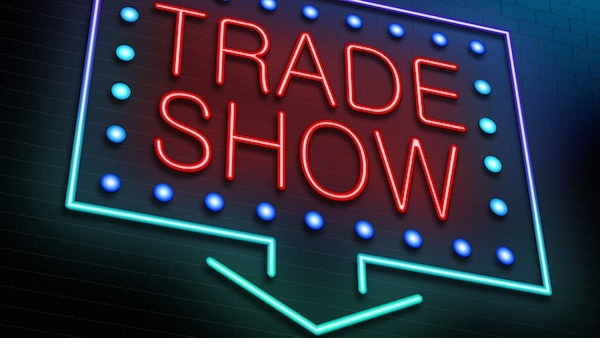 Here are some tips to help you crush your competition at the next trade show, so you can shine the spotlight on your business instead of getting lost in the crowd. Don't just book a booth at an industry-related event, think strategically about who your ideal audience would be, and where they would go to suit their interests. For example, if you own a floral boutique, you'd want to explore more trade show options than simply floral and gardening events. You would want to consider wedding shows, conferences for event planners, and perhaps even craft shows that highlight the work of local artisans. It'll be much easier to stand out amongst vendors of all types than in a sea of other florists. They say not to judge a book by its cover, but when it comes to trade show booths, looks definitely matter. Whether you choose to go for a bolder color palette, or keep it modern with a monochromatic look, it's important to stay on brand without being bland. Choose decor that pops, and pair it with eye-catching, interactive elements so that attendees don't just walk by, they stop in - and stay. This may seem obvious, but so many trade show booth hosts sit and wait for potential customers to come to them. If you really want to draw in a crowd, stand up, be proactive, and start conversations. In doing so, it's important to remember that you don't want to dive in with a sales pitch, or toss your business card into the hands of your prospects - at least not right away. Instead, try to connect with them on a personal level. Chat them up, gage their interest/need for your product or service, and go from there! Generate buzz at your booth. People are drawn to crowds. When someone walks by and sees a group of guests having fun, FOMO (fear of missing out) kicks in and they can't help but stop to see what all the fuss is about! Make sure you include an interactive experience so that guests will not only pop in, but they'll stick around! Adding a photo booth to your display is a great way to get guests to interact with your brand, have fun, and extend your brand reach beyond the walls of your booth through social media sharing and photo printing. Tempt them with a takeaway. When your booth guests leave, you'll want to remain top of mind. Be sure to send them away with fun swag that they'll want to keep, and include your branding and contact information should they decide to reach out to you in the future. Think beyond the pens and pins, and create a taekaway item that is truly unique to your business! 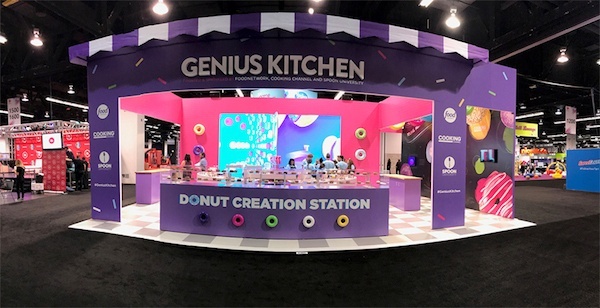 When done right, setting up a trade show booth can be a great way to reach your target audience, generate new leads, and most importantly, drive new business! 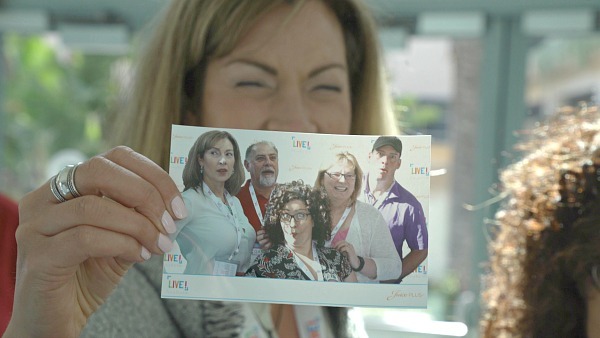 Be sure to create a compelling set up, offer something engaging and interactive to draw in traffic, and then send them away with a memorable keepsake and you'll see great results. Interested in adding a photo booth to your trade show display? 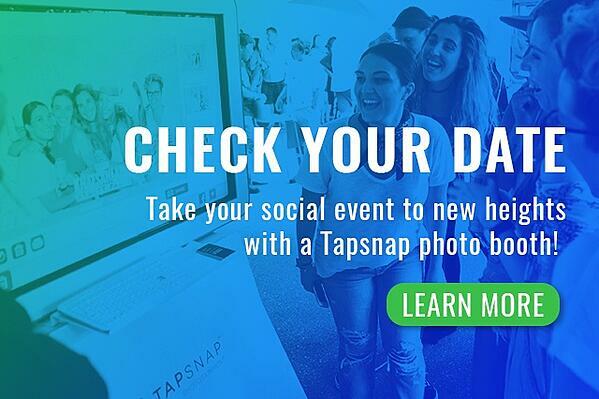 Find out more about how we can elevate your event by checking out our features page or you can give us a call and we'll set you up with a competition-crusher of your own.